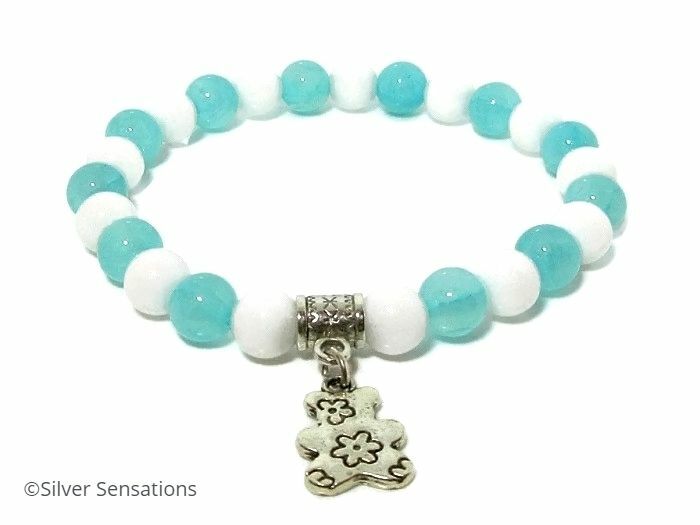 This handmade aquamarine blue & white stretchy bracelet features genuine semi precious gemstones. 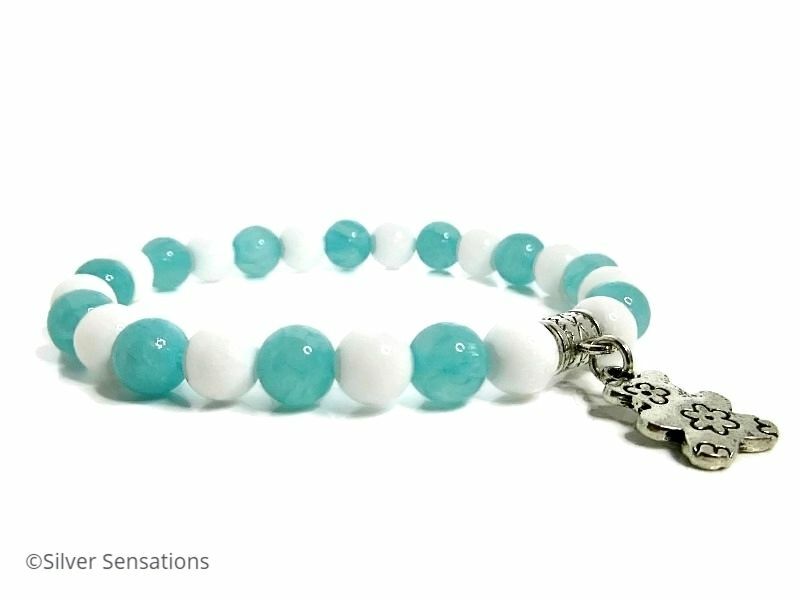 This pretty shade of blue Jade alternate with brilliant white Agate beads and are all 8mm in size. These Jade beads are a little unusual due to the markings on them, which can only be described as being similar to iridescence. 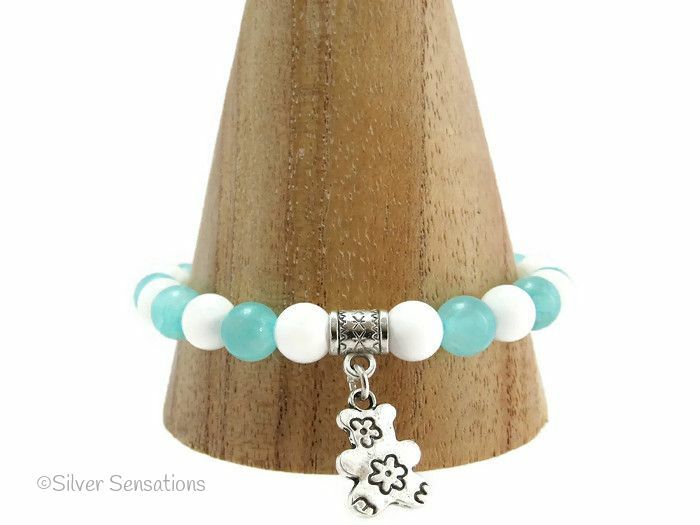 This lovely summery bracelet also has a Tibetan styled silver teddy bear charm which hangs from a silver pendant bail which also has detailing on it. It has a wearing length of 7.5" - 8", but if you would prefer a different fit I can adjust it for you. Depending on the size you would like, please be aware that it may alter the design slightly. If you would like a different length, please let me know when checking out and I'll be happy to make one to suit you. I only use high quality strong elastic thread to create your bracelet.